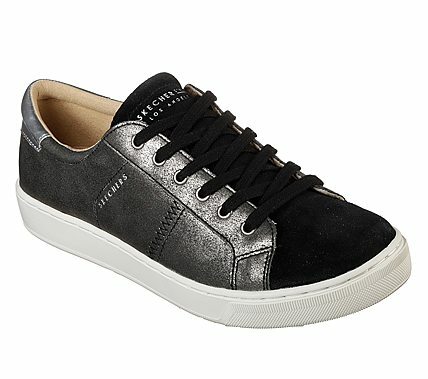 Classic inspired style comes shining through with added comfort in the SKECHER Street Prima - Shimmer Side shoe. Soft suede and metallic suede-textured synthetic upper in a lace up sporty casual fashion sneaker with stitching and overlay accents. Premium Memory Foam comfort insole.